With the weather warmer, backyard bbq's will be a common activity on the weekends for many households. 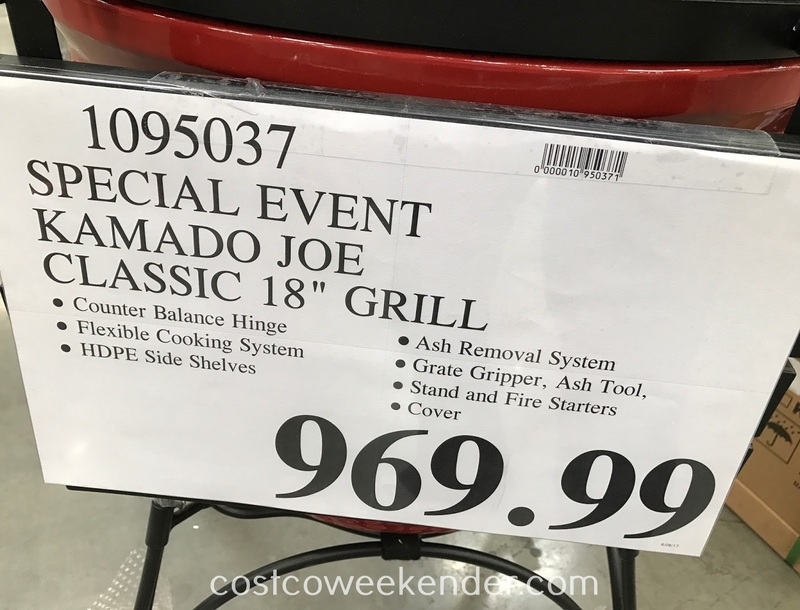 Although some barbecue grills are inexpensive, it's worth it to check out the Kamado Joe Classic 18-inch Grill. You can sear some steaks or make some burgers and hot dogs over high heat at your next outdoor gathering. The reason why the Kamado Joe Classic 18" Grill is a little pricier than your conventional grills is because it's made of ceramic. Ceramic makes it quite heavy and is great when you want to smoke ribs, brisket, or pulled pork. The thick ceramic material helps keep the heat in better than other smokers that feature thin metal like a Weber Smokey Mountain or a Brinkmann smoker (ECB or aka El Cheapo Brinkmann), so that you can cook your food low and slow. The slow cooking process allows the collagen in your meat to melt and make it moist and not dry out like it would if you cooked it at a higher temperature. You'd be surprised that a single chimney load of charcoal briquettes can go at least 16 hours of cooking time in the Kamado Joe Classic Grill when you're smoking on this. If you're serious about making some good bbq this summer whether you're grilling or smoking food, then check out the Kamado Joe Classic 18-inch Grill. Be sure to not wait too long since this is a special event item only available with the Kamado roadshow comes to your local Costco location. It's definitely a good alternative to a Big Green Egg which tends to be more expensive.